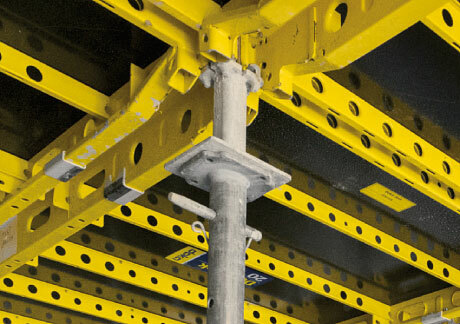 The galvanised, yellow coated steel frame of the panel with formwork sheet is long-lived and permits many reuse cycles. 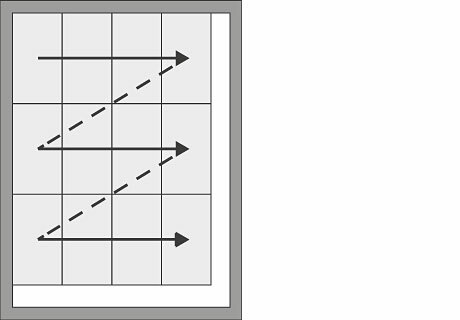 The panels are available in sizes 1.00 x 2.00 m and 0.66 x 2.00 m.
The working posture is usually upright – with Dokadek 20 frequent bending down and inserting panels from above are a thing of the past. 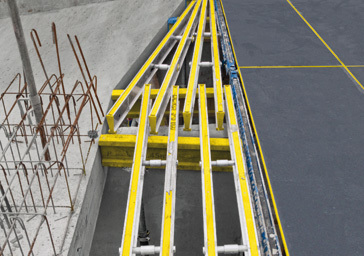 Even the panels are stripped without laddering, strenuous overhead work is reduced to a minimum. 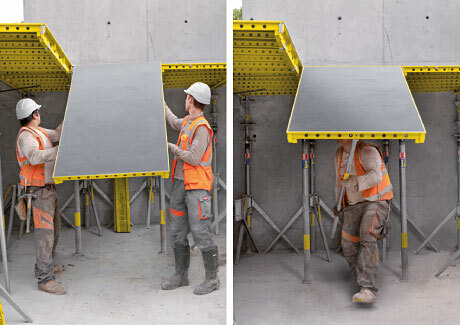 The clearly defined assembly sequence prevents the crew from attempting dangerous improvisations and ensures a consistently high safety level – even when semi-skilled labour is deployed. With Dokadek 20 there is no need to dimension the system in advance thanks to the number of props and the way they are arranged. 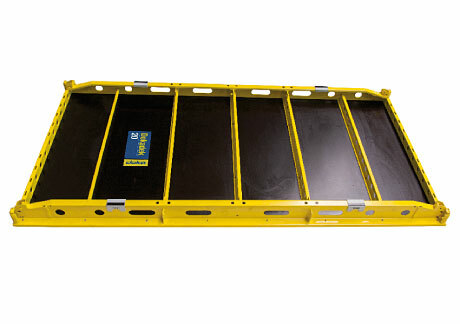 Infill zones with openings up to 13 cm are safely and quickly closed with the double alu-beam tec-2. 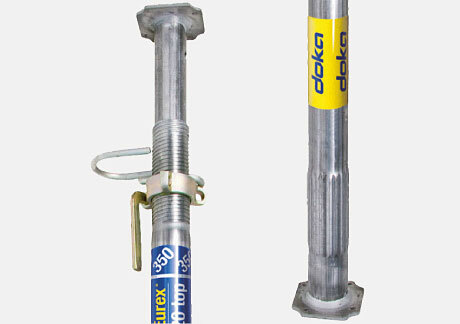 Dokadek 20 is fully compatible with the Doka edge protection system XP. This brings an added dimension of safety. Thank you for your interest - Panel floor formwork Dokadek 20. 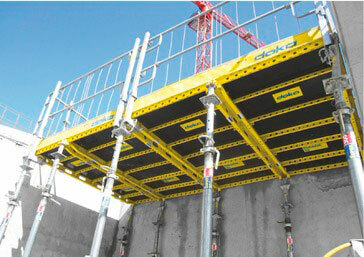 Thank you very much for your interest - Panel floor formwork Dokadek 20.